Whether they stay dead or just play dead until Congress reauthorizes them, Maine businesses and people will have to endure financial uncertainty. WASHINGTON — It’s no fiscal cliff, but on Dec. 31 businesses and individuals will lose dozens of temporary tax breaks on everything from wind power production to teachers’ supplies. Unlike past years, when Congress resuscitated the programs, tax policy observers say Washington’s fiscal climate could mean that the tax credits stay dead in 2014 – or at least have to play dead for longer than normal. House Speaker John Boehner of Ohio, left, is flanked by House Budget Committee Chairman Rep. Paul Ryan, R-Wis., who with Senate Budget Committee Chair Rep. Patty Murray, D-Wash., worked out a budget deal. That deal leaves out extension of certain tax credits, which will now expire Dec. 31. 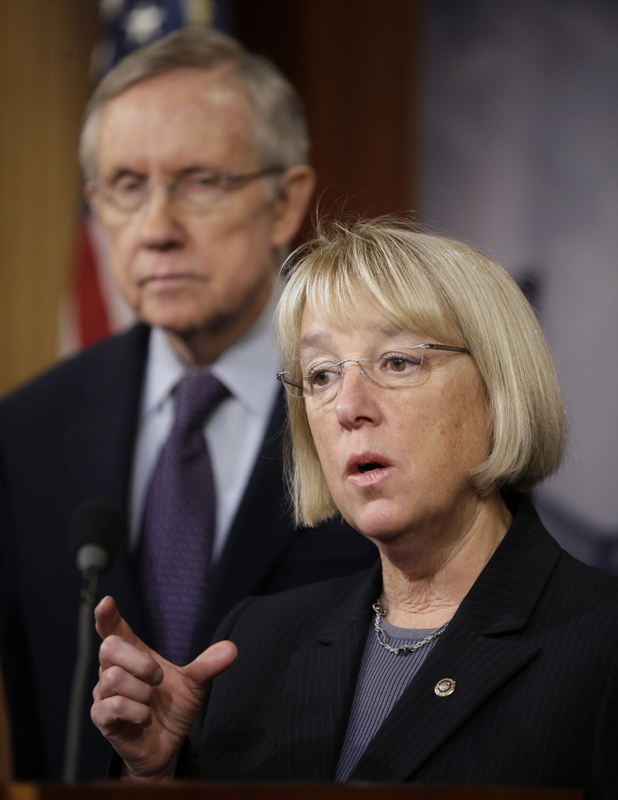 Senate Majority Leader Harry Reid of Nevada listens at left as Senate Budget Committee Chair Sen. Patty Murray, D-Wash., answers questions on the budget Thursday. For weeks, the focus in Washington has been on striking a bipartisan deal to fund the federal government for the next two years. The Senate appears poised to send that budget to President Obama later this week, thereby avoiding another politically embarrassing and economically harmful government shutdown. But the budget deal – negotiated by Rep. Paul Ryan, R-Wis., and Sen. Patty Murray, D.-Wash. – left untouched the tax code, including more than 50 separate tax credits that will expire at year’s end. Those so-called “tax extenders” range from deductions for state and local taxes or plug-in electric vehicles for individuals, to tax credits for new motorsports racetracks and mine-rescue training programs. In Maine, some of the higher-profile tax programs slated for discontinuation include credits used to help finance commercial wind energy projects, to help offset businesses’ research and development investments, and to leverage economic development projects. In the latter category, Maine is home to the organization that allocated more New Markets Tax Credits than any other nationally. Wiscasset-based CEI Capital Management LLC has been awarded $858 million since the New Markets Tax Credit program launched more than a decade ago. That money is then offered to investors in economic development projects in low-income or economically distressed areas as a 39 percent tax credit spread out over five years. CEI Capital Management, which is a for-profit subsidiary of Coastal Enterprises Inc., has distributed $222 million of that total to projects in Maine, leveraging more than $550 million in investment. CEO Charlie Spies said the firm is closing on another $40 million in investments soon but that after next spring, the available funds will be gone. Spies said he is hoping Congress will provide some clarity by early next year. “If people aren’t sure where the program is going, that creates uncertainty on the investor side,” Spies said. One recent recipient of financing through the New Markets Tax Credit program is Mölnlycke Health Care, which is preparing to begin manufacturing in a $47 million facility at the former Brunswick Naval Air Station. Mölnlycke already produces the special foam used in the company’s high-tech wound care products at a Wiscasset facility that employs roughly 70 people. But the company was sending that Maine-made foam to a facility in Finland for final manufacturing, only to have to ship the products back to the U.S. for sale. Jim Detert, director of business development at Mölnlycke in the Americas, said the $15 million tax credit arranged through CEI and the Midcoast Regional Redevelopment Authority was a key factor in making the business case for another facility in Maine. “We were competing against other locations not just in the U.S. but in Europe,” Detert said. Mölnlycke hopes to begin manufacture of the foam-based wound dressings early next year in Brunswick with about 50 high-skilled workers, but the company has the space to double or triple the size of the operation. 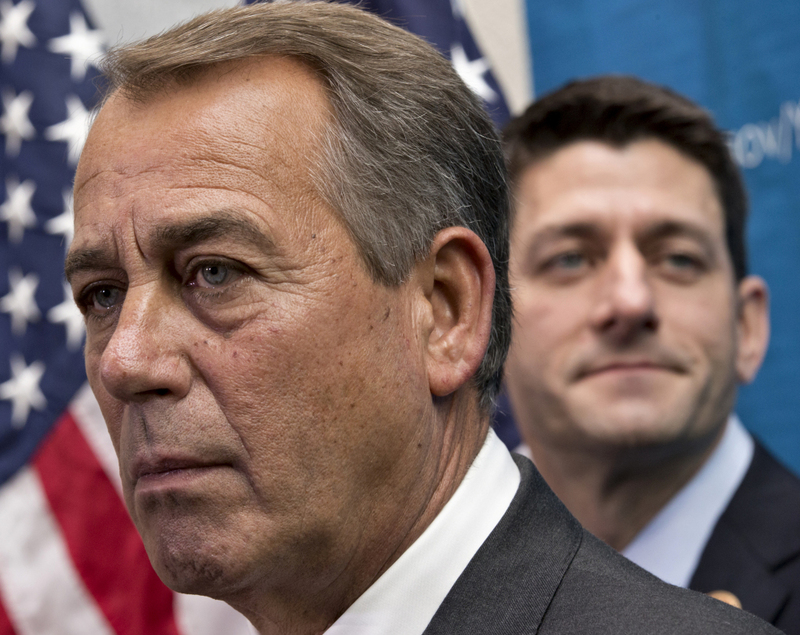 The fate of the “tax extenders” has become an annual debate in Washington. The tax breaks were set up to be temporary in order to prompt regular review by lawmakers. Congress typically reauthorizes them before Dec. 31 or restarts them retroactively with little scrutiny of the programs, however. Earlier this fall Sen. Max Baucus, the Montana Democrat who chairs the powerful Senate Finance Committee, declared that he would not consider a separate tax extenders bill. Instead, Baucus said the temporary tax breaks would be considered as part of a larger, bipartisan endeavor to reform the whole tax code. Then the government shutdown, the near-default on the debt ceiling and the recent budget negotiations intervened. A committee staffer said Friday that while members are exploring options for the tax extenders next year, the goal remains to handle them as part of a larger tax reform deal. Some observers are skeptical anything will happen with the tax credits early next year, however. Howard Gleckman, a resident fellow at The Urban Institute and editor of the TaxVox blog at the Tax Policy Center, said the modest budget deal recently negotiated by Democrats and Republicans will likely quell any desire to wage battle over major reforms to the tax code. So Gleckman said there is no clear path for the “tax extenders” because the issue is typically attached to another fiscal bill. While that doesn’t mean the time has finally run out on the temporary tax cuts – and Gleckman suspects most will be brought back eventually – he doesn’t see it happening too soon. Some Maine tax advisers said they have almost come to expect the on-again, off-again nature of the credits. Markgren said many of the tax programs are relatively minor, so he wouldn’t expect businesses to make major relocation or investment decisions on the tax credits alone. But he said many businesses have come to rely on credits for research and development. Maine’s growing wind power industry has also come to rely on a production tax credit that offers a 2.2-cent credit per kilowatt hour for electricity produced. Congress changed the qualification requirements to allow projects to qualify earlier in the construction and planning phase. But some critics have pushed hard in the past to eliminate what they see as an unfair subsidy for the industry. And it is unclear what will happen to the wind power production tax credit next year. The largest beneficiary of the program in Maine has been First Wind, which operates four major wind power facilities in the state and has another four under development. First Wind spokesman John Lamontagne said the company hopes to qualify for the tax credits for several of the four projects under development before the end of the year. The annual uncertainty and occasional lapses in the program contribute to the boom-and-bust cycle in the wind industry, he said.